I saw this product on ASOS and had to buy it. 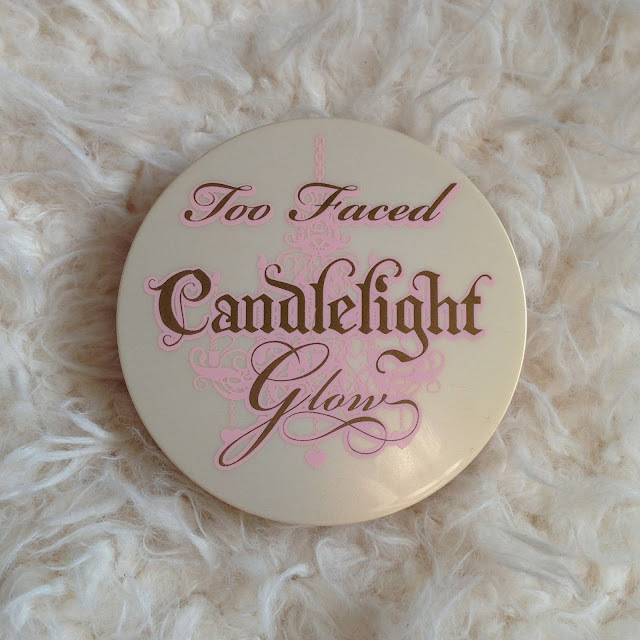 I had not really bought anything from Too Faced before, but as I was in the market for a new powder highlighter, I thought I would give it a try. 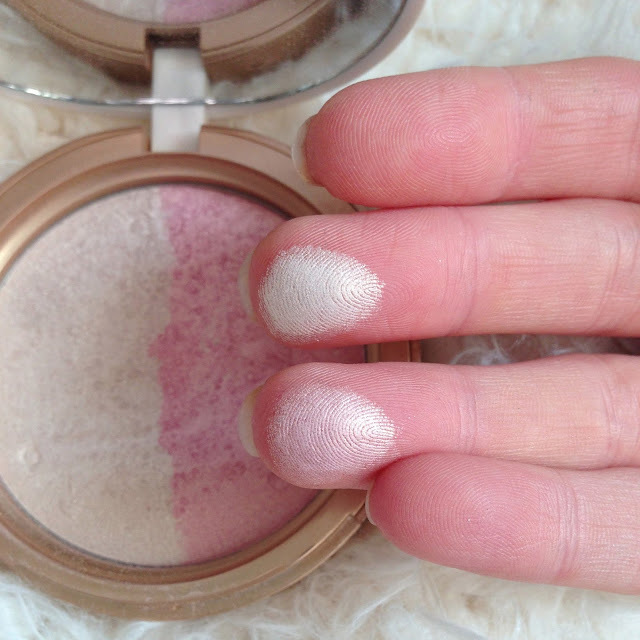 The product is a pink and white highlighter, which when swept on together give a really golden, shimmery glow. Please excuse the fact that I have used the product, as before you would have been able to really work out the straight line between the white and pink and the embossed chandelier over the top. It is so so cute. The packaging also come with a mirror and in quite a large case. Ive swatched the product onto my fingertips below to give you more of an idea of the colours. I really rubbed my fingers over the product, so of course this isnt how your cheeks will look, but gives you an idea of the pigmentation and quality. When applied however, they really do glow with a golden tone. I really like this product. I like that it has the two colours so you can just choose to go with either the paler shimmer or pink shimmer depending on your make up look, or you can use them both together. I also love the adorable packaging and the way it can really make your cheekbones pop. Yet, I must say that I do prefer my Benefit High Beam to this product as it does tend to sparkle in a more dewy way. This product adds a beautiful highlight but not the really glossy look that high beam can give you. 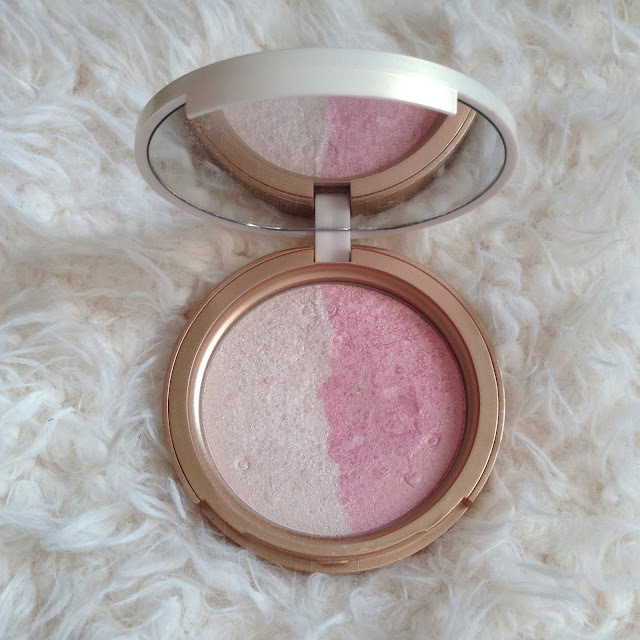 If you’re after a powder highlighter though, this is definitely something I would recommend!